DN-AE05 is a portable, cost-efficient and highly accurate IV-measurement solution designed for small cells (<1 cm2) and low-power (indoor ambient light) applications. Unlike traditional IV-measurement systems based around a Source-Measure Unit (SMU), this system instead uses a modern computer-controlled potentiostat to measure the IV-curve. 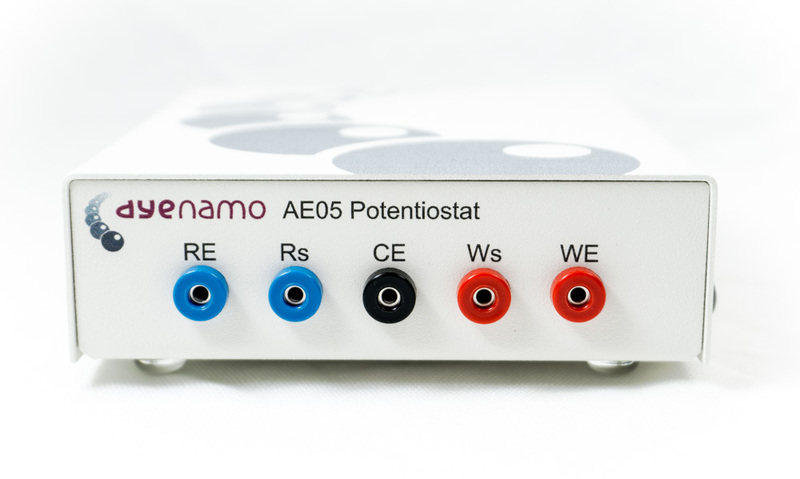 The kit includes the AE05 potentiostat together with Dyenamo's IV- measurement software as well as a set of test and communication cables.